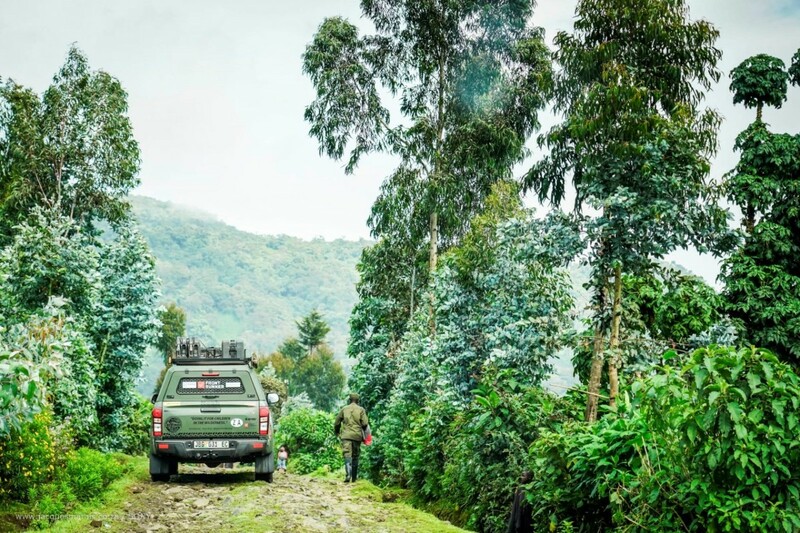 Towering volcanoes, deep-water lakes, mountain-top calderas, verdant jungles, highland coffee plantations… There is so much more to Rwanda than its iconic silverback gorillas. Jacques Marais explores this tiny East-African country by bike, boat and Isuzu, as part of the “Beyond the Rift Valley” expedition. Peter van Kets and I first came up with the route for the ‘Beyond the Rift Valley’ expedition early in 2018, thinking this would be a pretty ambitious foray into the heart of the Mother continent, and a chance at last to get to see Rwanda’s gorillas up close and personal. That was the starting point of the endless logistics that followed, culminating in a 16 000km adventure of note, in which we fitted in more out-there activities than would seem possible in the time frame. 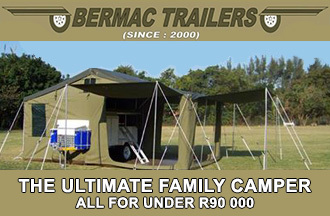 Fortunately, our travel equipment was up to scratch: we had Dunlop on board as a main sponsor, which meant that we had fitted hardy three-ply Grand Trek AT3 G tyres to our brace of never-say-die Isuzu X-Rider double cabs. The truth is, we had no real idea what awaited us north of Lusaka when we departed late in September. And, of course, the road trip via those Zambian and Tanzanian dust bowls – especially along the edge of Lake Tanganyika – proved to be about as wild and sketchy as Africa can get. Numerous tricky moments with logging trucks, sundry angry policemen, errant ankole-watusi cattle and a few epic dust storms made getting to Rwanda in one piece a full-on adventure. But, once you get to cross the Ruvuma River into Rwanda, everything changes. This tiny land-locked nation operates unlike any other African country, and technologically and logistically it is way ahead of anywhere else on the continent. Here are a few of our most memorable snapshot moments, covering ‘Eight Incredible Experiences’ you really should have in Rwanda. As proud South Africans, we’ve always thought of our Rainbow Nation as leading from the technological forefront here on the Mother Continent. Surprise, surprise. 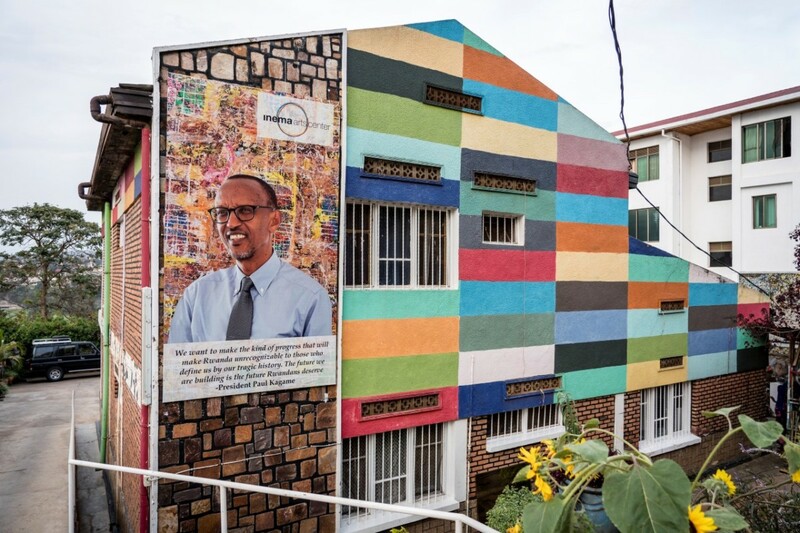 We’ve fallen way behind Rwanda in just about every aspect of governance, and what a joy and privilege it was to behold the spotless, colourful and utterly creative capital of Kigali. The inhabitants are progressive and friendly, and even at night, the city streets are safe and secure. (I walked around with my camera until close to midnight without even once being harassed). 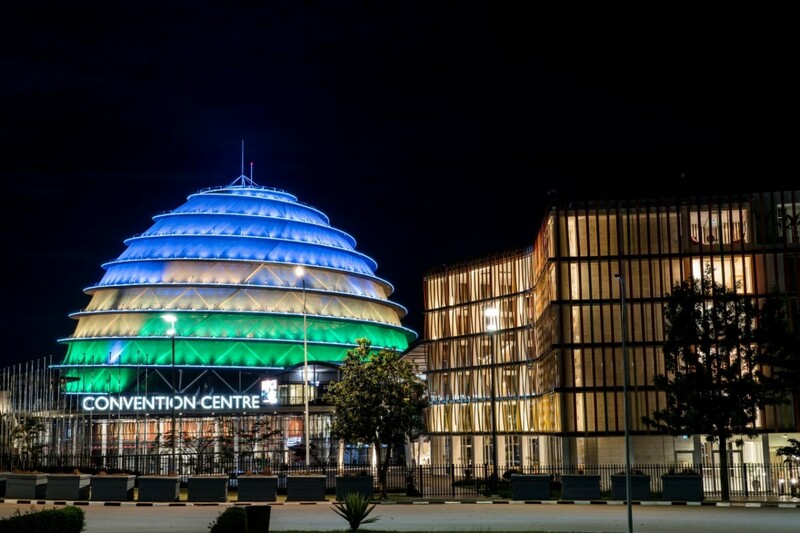 Technological advancement is a key driving force in Rwanda, and as a result, the capital is light-years ahead of the rest of the continent − with hyper-speed fibre-optic communication networks, traffic-lights with digital countdowns, wide and well-planned boulevards, and a bustling, 21st century city centre. The fact that plastic bags were banned in Rwanda in 2008 means that you hardly see any litter, and you have a constant sense of being in a metropolis that works, in every sense of the word. 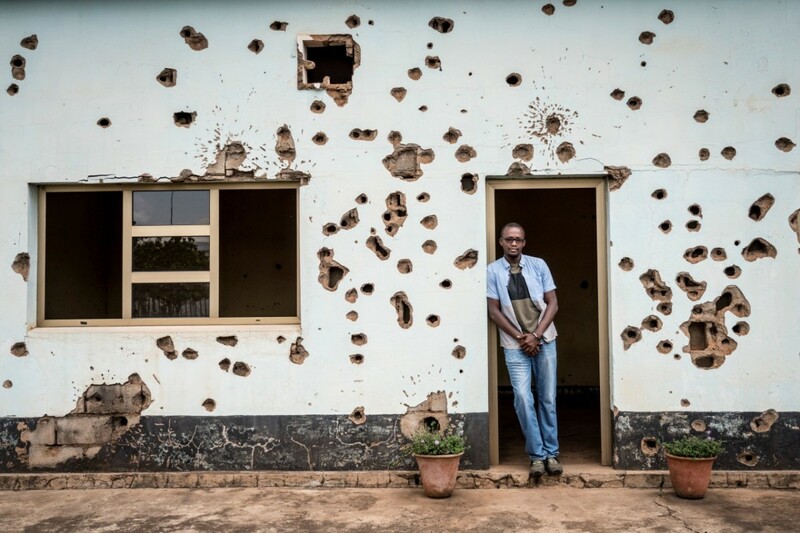 Day Tours (see the details for Yambi Guest House later in the article) will allow you to experience the incredible ‘Rwanda Genocide Museum’, which, to my mind, is as powerful and harrowing as the ‘Killing Fields’ in Cambodia. Our navigation of the remote Nile-Congo Divide Trail – a key activity-focus of our Expedition – was to start in Nyungwe Forest National Park. This stunning conservation area encompasses one of the most expansive protected mountain forests in Africa, covering approximately 2000 square kilometres. 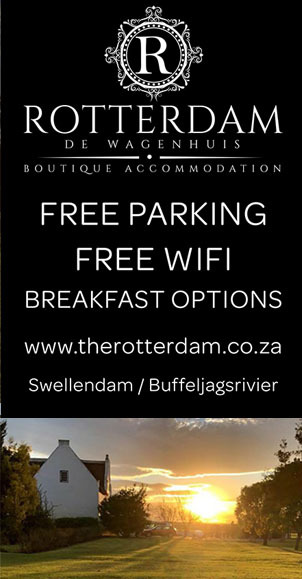 Visitors can get right in there by following a 200-metre-long canopy walkway spanned amidst ancient forest giants up to 60m above the forest floor. 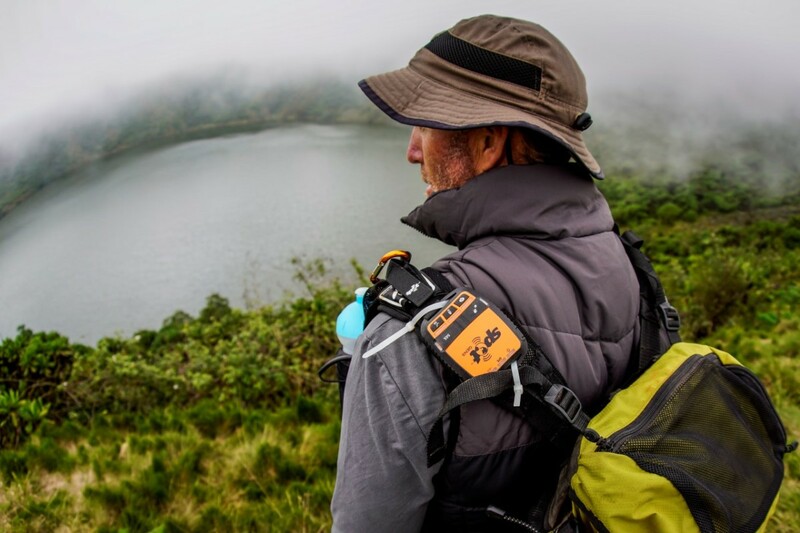 The Dunlop Beyond the Rift Valley expedition is headlined by adventurer Peter van Kets and photojournalist Jacques Marais, with its core goal being to attempt the first recorded human-powered navigation of the Nile-Congo Divide, by bike, boat and on foot. This is their second expedition in a five-part series to highlight remote African regions under environmental threat. The first, Beyond the Desert Edge in 2017 (featured in SA4x4 June and July 2018), took the adventure duo 970km on fat-bikes and mountain bikes through the Skeleton Coast, Kaokoland, Damaraland and Dorob National Park regions, pedalling from the Cunene River in Angola to the Namibian coast. Why choose Rwanda? Here one can see some of the best-preserved sections of montane rainforest in central Africa, particularly along the watershed between the basins of the two river giants, the Nile to the east, and the Congo to the west. The vegetation varies from dense, indigenous forest to bamboo thickets, major grasslands and extensive marshes, mixed with cultivated farmland in the densely populated Rwandan interior. 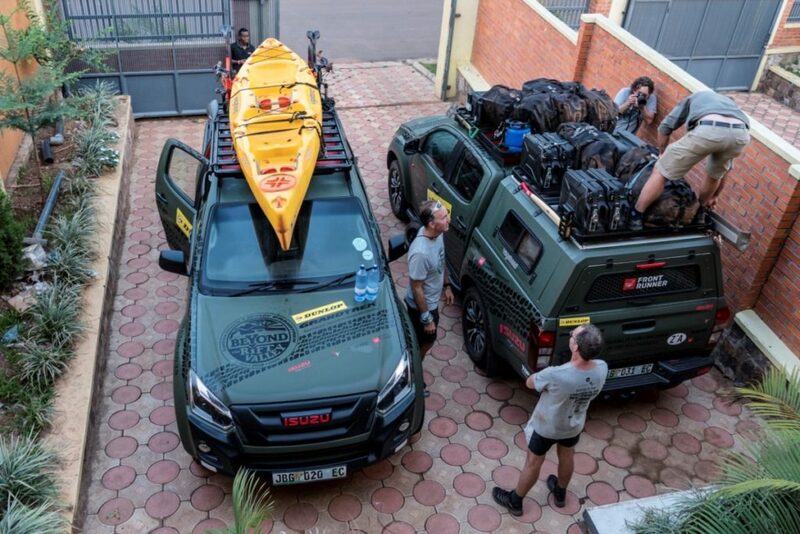 The first stage of the expedition kicked off with a 5400km drive in Isuzu double cab X-Rider bakkies from Cape Town to Kigali, Rwanda’s capital. 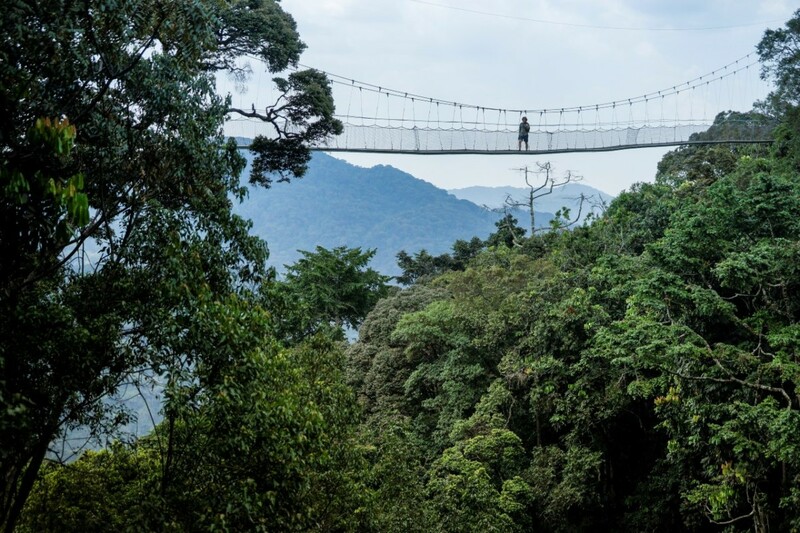 From there, the team trekked over 80km through Nyungwe Forest National Park in southwest Rwanda. 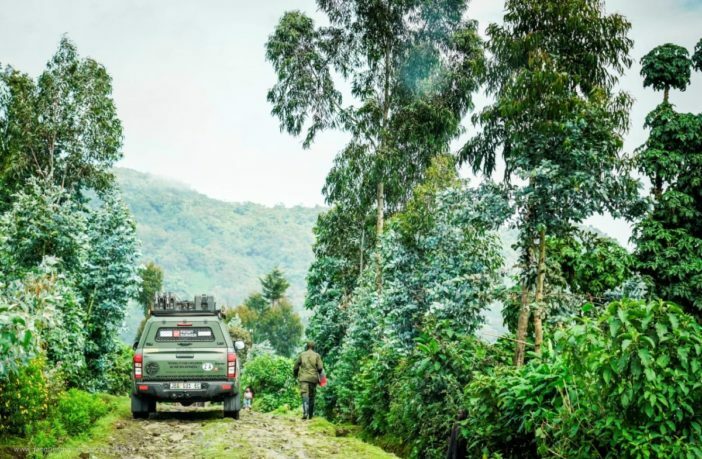 Van Kets then got on his mountain bike for a 300km pedal through tea plantations and rural villages, and past the recently-declared Gishwati-Mukura National Park before reaching the Virunga Mountains. The Virunga range, home to critically-endangered mountain gorillas, has eight active and inactive volcanoes. Three of these peaks were summited: Karisimbi (4507m), Bisoke (an active volcano peaking at 3711m) and Mount Sabyinyo (3645m), which marks a confluence of the DRC, Rwandan and Ugandan borders. 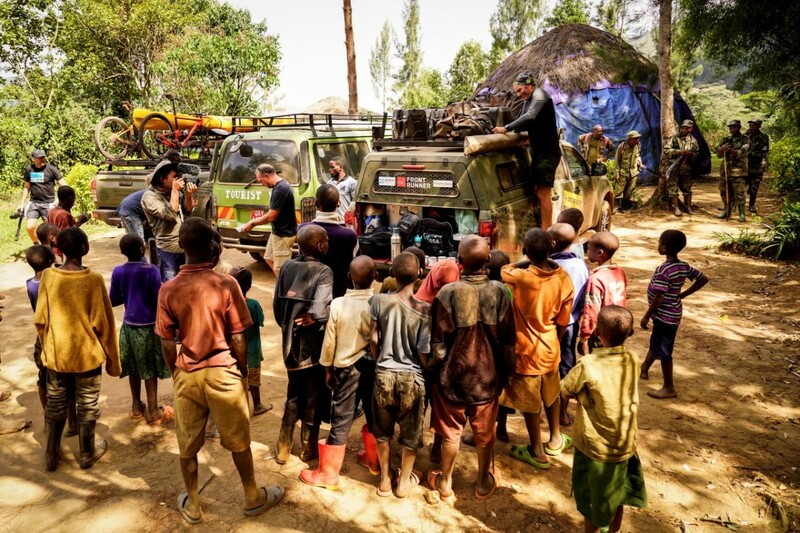 Before the long trek south in the vehicles, the final four days of the expedition saw team members undertake a 115km paddle across the giant Lake Kivu, visiting local fishing communities and protected islands. Van Kets and Marais are official ambassadors to the non-profit organisation Children in the Wilderness, which seeks to educate rural children on conservation and its relevance to their lives. 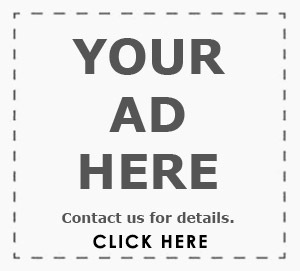 To find out more and to offer donations, go to www.childreninthewilderness.com. 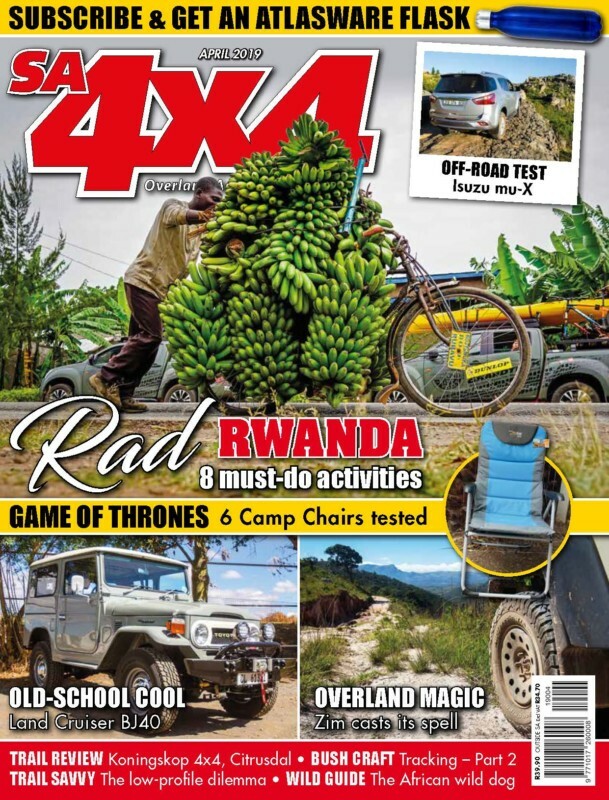 For the full story, grab a copy of the April 2019 issue of SA4x4 Magazine.